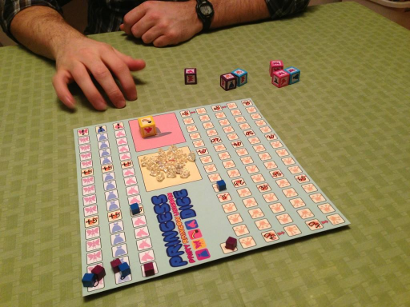 I’ve taken a few weeks off from the site… and game design as a a whole really. I’ve been working through all the “work” part of designing as a sort of brain-break from doing game development. I need those breaks every now and again and it’s nice to have other skills I can fall back on to keep me busy. Doing artwork and layout for my games is very closely tied to game design, and keeps me passionate about a project, but it really is a break from thinking about the game and what makes it tick. So, I get to accomplish something for the game, without grinding away at mechanics and playtests. Princess Dice moved back into the #1 spot for my attention thanks to my friend Grant Rodiek and his awesome PenPal program. Grant saw a need from the game design community on Twitter and developed a way to fill that need. We all have prototypes that we want playtested, but we all can’t travel all over the country to make that happen. The concept is simple: make a prototype and Grant will give you an address to send it. Then you get feedback! When he asked if I wanted to participate, my first thought was “YES!” which was quickly followed by, “I have nothing to send!” My prototypes are all in such a state of disorder that by the time I sent one to somebody, it would be drastically changed before they ever received it. Princess Dice was my only viable option. The game was good, and I really just needed blind feedback. Read the rules, play the game, help me fix the rules. 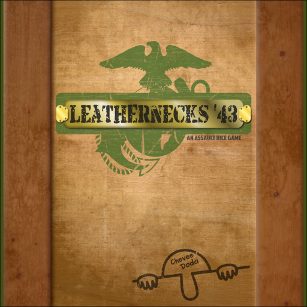 Leathernecks ’43 was born. Instead of collecting items, you were moving your squad up the beach, assaulting a machine gun nest. The more I thought about it, the more I realized that this theme fit theme fit the mechanics of the game much better than the Princess theme. I announced on Twitter shortly after that the game would be available on The Game Crafter shortly after the new year and I’m sticking to it! I’m working on the final layout for the rules now. The art is all done, and I will be ordering a production sample this week. As soon as I am allowed, you will be able to order it! Don’t worry, I’ll let you know when that is! It seems like it has been a very long time since I’ve written about Dead End. Probably because it has been! I haven’t worked on this game since GenCon. This is not because I don’t want too… but because I recognized that it was time to take a break. I became too determined, too attached, and unable to process any feedback other than my own. That is not a healthy place to be when working on a game. I made the decision to put it away until March. I will take it out and look at it then. Well, I’ve been sticking to that plan, but one of my awesome Twitter followers, Neil Roberts, refuses to let the game die. Neil has read everything I’ve ever written. He’s helped me fix all of my rule sets since last June and he keeps me company on Google Talk almost daily. A few months back he started asking a lot of questions about Dead End. Little did I know he was taking notes. Like a skilled counselor he talked me through a lot of the problems I was having with the game and really paid attention. He asked me if he could have a go at implementing some of the changes, and I told him to have at it. What’s been born of that is an all new, shiny, functional version of the game. I haven’t played it yet, but we’ve talked in great detail about most of the changes he made and the motivations for those changes are sound. I’m actually really excited for it. He has some great ideas that make perfect sense and were way outside the scope of anything I had ever considered. 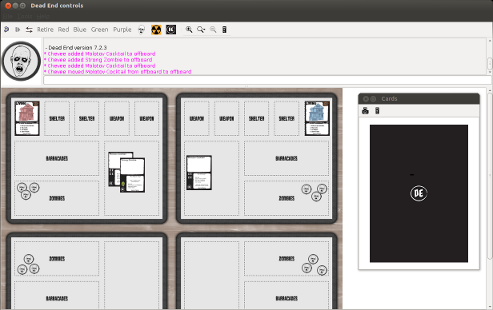 Also, VASSAL module! We took on the VASSAL journey together, me on Hedeby, him on this. 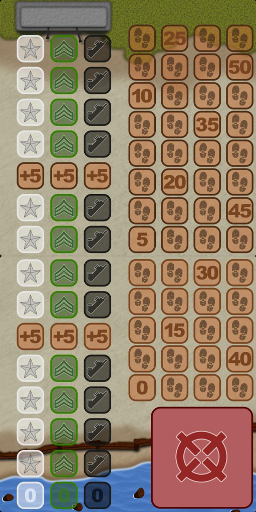 He’s written some really great tutorials on his blog if you are interested in VASSAL at all. It’s not quite ready for consumption yet, but it’s coming along very well. I’ll let everyone know as soon as it’s ready so we can playtest together! Lastly, Hedeby. I’ve been silent on Twitter about it for a few weeks… basically since working on Leathernecks ’43… but the excitement has not died out. I’m still extremely excited for the game, I’m just currently working on other things that have taken all of my attention. The last test went well, but it still needs an extra touch of focus. I know exactly how I”m going to add that focus as soon as I shift back to working on it. I’ll write more about it then, and of course, let you know! Thanks for keeping in touch with me! Without regular communication with my awesome readers, I’d lose motivation quickly!